FFT Presentation Focuses on Suicide Prevention Awareness - Family Counseling Services of Cortland County, Inc. 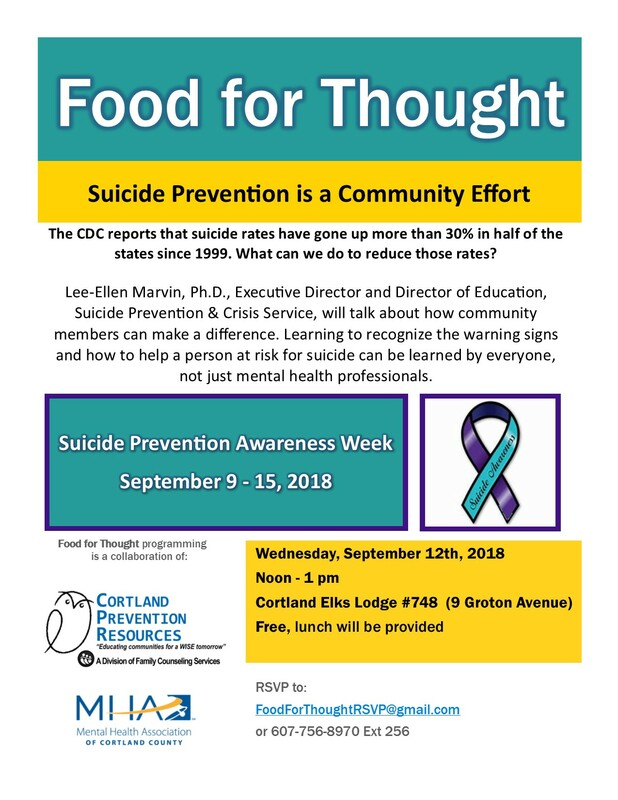 The September Food for Thought presentation will focus on suicide prevention awareness to help community members learn to recognize warning signs and help a person at risk. 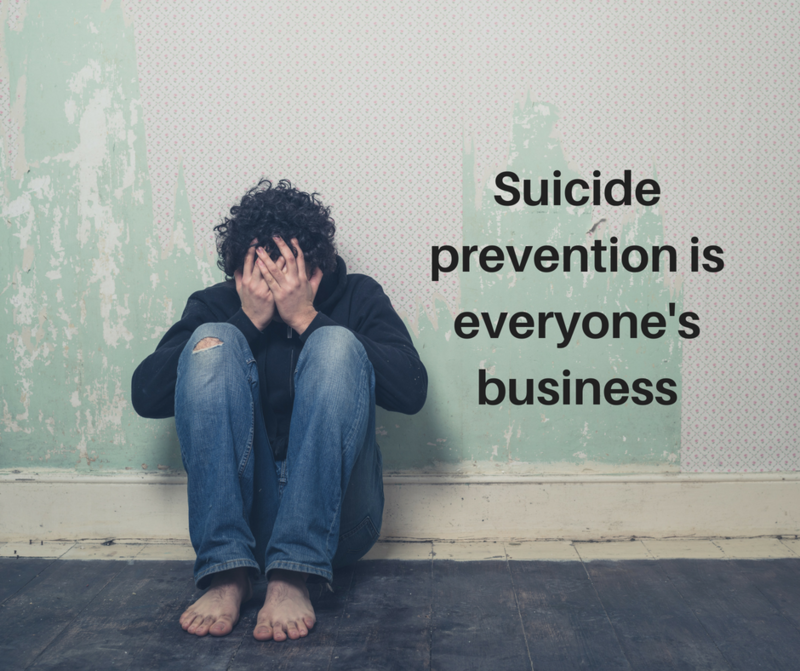 Suicide remains a significant issue in our community and throughout Central New York. This presentation highlights the issue during National Suicide Prevention Week, September 9-15.